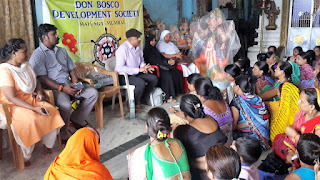 Mumbai, 21-August-2017: The Don Bosco Development Society (DBDS), Mumbai had organised an awareness program on importance of civil documents for 44 slum women from Sion Koliwada (Mumbai). 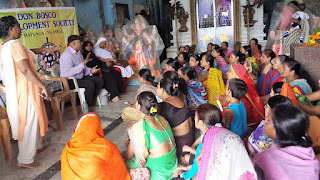 The main objective was to make people aware of documents like Aadhar card, Pan card, Election card, Cast certificate, Marriage certificate, Domicile Certificate, Birth certificate, School leaving certificate, etc. 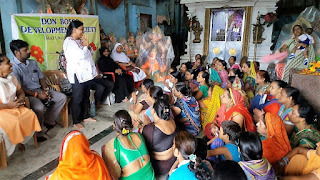 Mr. Salim Khan (Regional Director of E-MAHA-SEVA) was the resource person for the awareness programme. A majority of the participants were not aware of the importance of the documents also, they did not know the procedure for procuring such documents. None of the women were in possession of their Marriage certificate, birth certificate etc. 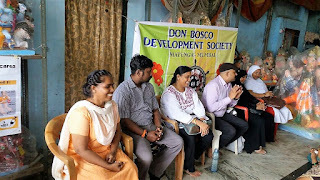 On making them aware of the importance of such documents the participants urged the DBDS to plan and arrange a camp for the preparation of the documents. 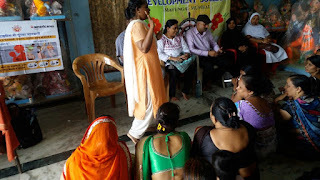 The two day long workshop ended with a vote of thanks proposed by Ms. Basanti Solanki (Field Staff – DBDS).